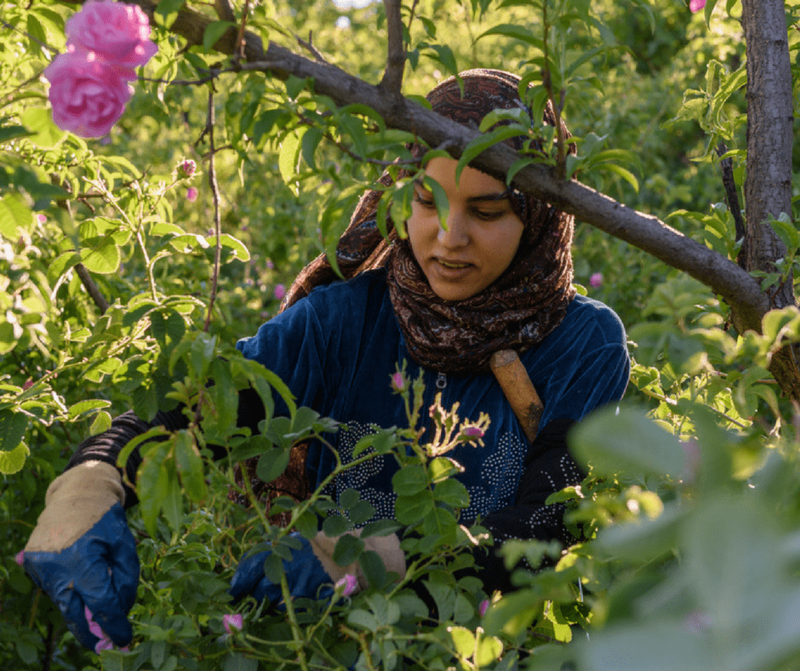 Along with the question of eating in Morocco with food allergies, another very common question I get is about women visiting Morocco alone and with friends. It can seem really intimidating to visit a Muslim country for those who have never been before. 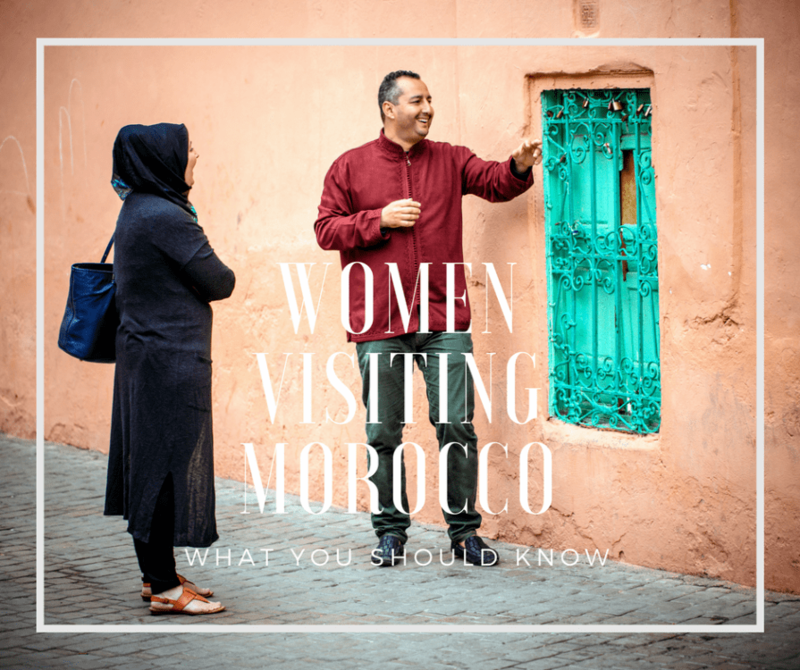 I have several posts that share some ideas about what to pack and wear as well as answer the big question; is Morocco safe for female tourists? This post will go a little bit deeper and hopefully answer some of your questions. You’re not the first woman to visit Morocco. Tales of female travelers to Morocco are in English literature from the beginning of the 20th century (Edith Wharton anyone?) There are millions of tourists that visit every year and yes, that means many of them are women. Morocco is as safe for a woman to visit as any other country. There are some general precautions to keep in mind but if you traveled anywhere in the world you will be facing similar issues. Every day thousands of women visit and millions more live here. Traveling in Morocco as a woman is not a new thing. Morocco is safe for female tourists. But it is important to be aware of cultural norms. Also know tourists are given quite a bit of leeway when it comes to dress and behavior. You don’t not need to dress or act as locals would. There’s no dress code for Morocco, though a general amount of respect is appreciated and advised. Keep your wits about you when you’re alone. Generally, it’s not a good idea to walk down streets alone late at night. Don’t carry large sums of cash. Don’t befriend people and hope for the best. If you’re alone go easy on any alcohol or don’t drink at all to avoid putting yourself in a compromising situation. It’s also uncommon (though this is changing) for women to sit in cafes. There are many that are fine for either gender to use, but there are “male” cafes too. If a woman is sitting in a male cafe it can lead to unwanted advances as the women that sit in those cafes do it to pick up men. If you want to visit a cafe ask at your riad, hotel, or to a guide to double check. Though chances are if you see the cafe is full of men, it might be best to avoid that one. Most importantly, keep your senses and be cautious and alert. Remember your best defense is a good offense. This is even more true with solo travel in Morocco. Pay attention to where you are and what is going on around you. Do the streets empty at a certain time? Do you not see women in certain places or doing certain things? These clues can give you a good idea of what is ok and what may not be ok. If you don’t feel comfortable – move. You also might talk to the management wherever you are staying and ask for their insight and advice. I get it. I’m American and we smile – a lot. It took me a really long time to stop flashing a smile just because or to say hello. I’ll now smile and greet the ladies and old men in our neighborhood or on the street however I will rarely ever flash a smile at a boy/man that is a teenager to about 60 years old. A smile means more than a smile here, it’s an invitation to continue (or start) a conversation, which then often leads to other assumptions. I think it’s easier to just avoid altogether. Be cautious and know that what might feel like a casual conversation with a man to you can mean something different to them. You might get to befriend people if you stay for a long time. There comes a point where it will seem more natural and like a friendship where smiling is just that. 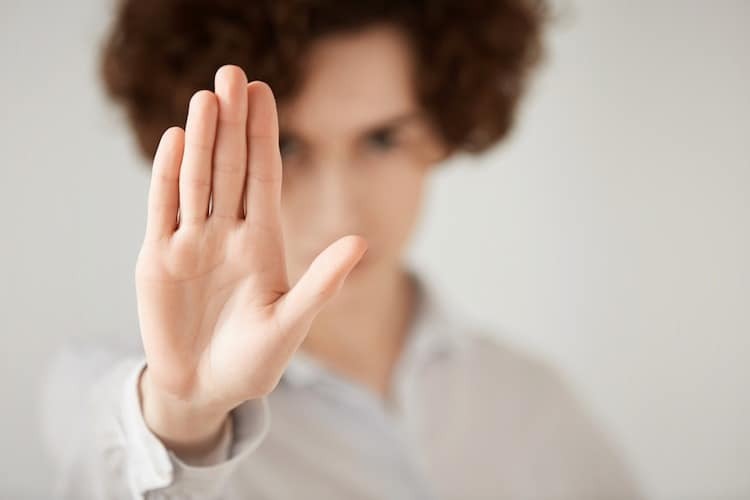 What happens if you do face harassment or unwanted attention? I think there’s two choices. Either completely ignore it or make a big deal. I hate it as much as everyone else but I also know I am not going to change it by myself. In the beginning I would always ignore it and I tend to opt for this simply because I hate confrontation. But the times when things have gone too far or when I have seen other women being bothered, especially tourists, I do speak up and tell the perpetrators to knock it off and be ashamed of their behavior. Most of the time they’re too shocked or embarrassed to respond. You have to decide what your comfort level is with a response. I’m not telling you that you should be an ice queen when you visit but be aware and scale back a bit. If I’m being honest then you need to know you’re going to hear comments (mostly from that male demographic I mentioned above). Some are innocent, perhaps complimenting you or exclaiming how beautiful you are. Flattering isn’t it? Maybe at first, but not after awhile. I’ve found the best way to deal with this is to just ignore it. It might seem rude not to respond but if you do respond it again is seen as an invitation to continue the conversation. If someone gets really aggressive, let them know you’re going to get the police and for them to leave you alone. If you really do feel threatened or overwhelmed, seriously find a police officer and let them know. Moroccan police do not take kindly to harassment of tourists. Every time I talk about this I get negative feedback and I anticipate this time will be no different. In Morocco you CAN wear whatever you want.This is especially true in big cities. BUT, you also should be aware that the less you wear, the more attention you’ll draw. When I am out I am covered except for my hands, feet and face and I still get street harassment so imagine what happens when a girl is wearing booty shorts and a tube top. Dress in a way that is respectful to the local population. Please don’t wear a scarf on your head and short shorts with a tank top. If you want to be respectful and take this step, cover your arms, chest, legs, and then wear a scarf – otherwise it’s not necessary and can be seen as insulting. If you are going to a nightclub or swimming pool wear what you want, but if you’re walking through the souks of Marrakech? Cover up (this means cleavage and backside) or know that you will face a lot of hassle. Some of my friends have also noted that when they wore their hair up vs wearing it down the hassle was less. Be yourself but keep in mind this is a Muslim country. I’m not trying to police what women wear and in an ideal world women wouldn’t be harassed but it’s not the reality in Morocco right now. Like it or not, the more revealing you are with your clothes, the more comments and harassment you may receive. You may want to consider wearing a wedding band, even if you’re not married. If you find yourself in a situation where strangers are asking about your relationship status, it’s best to fiend a partner or spouse. If someone propositions you simply show them your ring and let them know you’re married. . 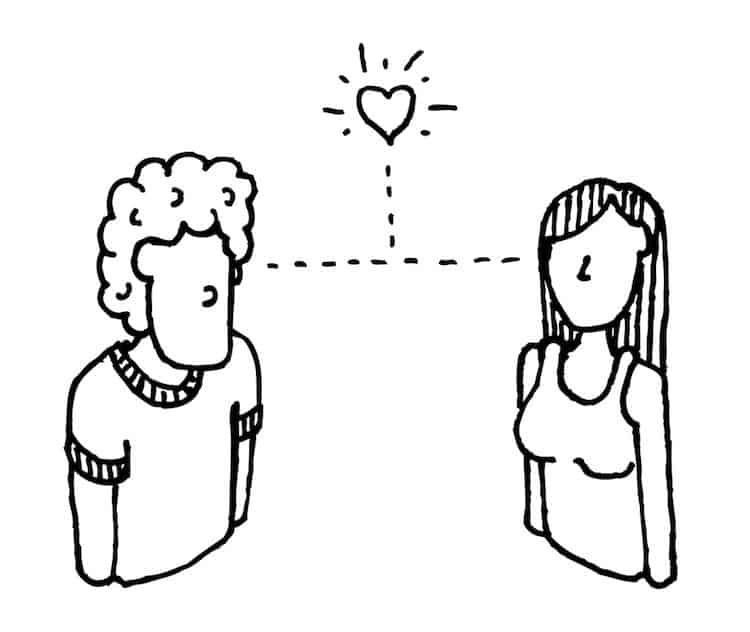 It can quickly diffuse an uncomfortable situation and make it clear you’re not interested or looking for anything. They usually will stop at this point. Also consider carrying a scarf (not sheer) that you can drape over your shoulders if you feel uncomfortable. My mom picked up on this little trick of mine when she was visiting. I always wear my sunglasses for two reasons. One, it’s sunny about 355 days a year here but two, wearing sunglasses also means no one can see my eyes and where I’m looking. This gives me the opportunity to look around (especially when shopping) but not immediately be greeted by someone trying to pass something off on me. Seriously, dark sunglasses are a great trick! 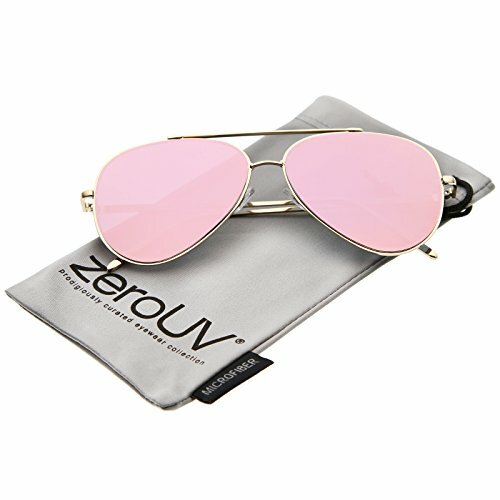 These sunglasses are fun, cheap and perfect for holidays- they’re almost all $10 or less too so if you break them no big deal! Your super cute handbag may not be the best option for a trip to Morocco. Instead opt for a cross body bag you can carry in front of you. In large cities especially theft is an issue. Try to spread out your valuables; phone in your pocket, money in different pockets of your bag and wallet, etc. You can still look fashionable but you’re not going to care how great your Instagram shot is if your wallet and passport has gone missing. What you experience in Marrakech is going to be very different from what you’ll see in a village in the Atlas Mountains. Most rural communities are more conservative in how genders interact and what their expectations are. They can be a little more skeptical of outsiders, but they’re also insanely generous and welcoming. If you’re visiting someone’s home you should plan to bring a gift. This is not in any way expected but is a kind gestures. Something small like cookies or chocolate is always very nice. I’ve also noticed that people love things from your home state or country. If you will be staying in a home or visiting for lunch this small gift is very nice. You can travel Morocco on a budget but I think it’s worth it to spend a little more on reliable places to stay, transportation, and consider hiring a guide in the cities. If you’re a solo budget backpacker, new to traveling, or you just want to be sure you have a great time, spending a bit more can make a huge difference in your trip. When you’re in a large city guides can make sure you see everything you want and keep the touts at bay. This is especially useful when you’re brand new to a city. Afterwards you may feel more comfortable going alone. One of the best things I think you can spend a little more money on is helping getting from the train station or airport to your riad or hotel. Do you know what is really confusing? Moroccan medinas. When you arrive, it is 100% worth the price to have your riad or other accommodation pick you up from the airport or train and get you to their property. You will not find it on your own right way, I promise. “But, I have Google Maps,” you say, “I’ll just follow it.” No, no you won’t because it rarely works in medinas and when it does you will find half the streets and alleys have no street names or the map will show a street where there’s really a dead end. Trust me on this! Also consider accepting their help guiding you to local attractions such as nearby restaurants or plazas – at least the first time. It is very easy to get disoriented and they are your best and most trustworthy source of help. Many riads also offer phones to guests. Should you ever get turned around or lost do not hesitate to ask them for help via the phone – that’s what it’s for! Every riad I know is more than happy to help guests in this way. When you’re ready to leave the city you’ll discover that getting around in Morocco can be interesting! If you want to use taxis, large taxis are the cheapest but you’ll be crammed in with 3 other people in the backseat, it’s not very comfortable – especially for extended periods of time. There are trains and buses that run between nearly all Moroccan cities and will give you more space. If you want to go to the Sahara then I think it’s worth it to pay extra for a highly rated tour where you’ll be safe and secure with a good driver and safe accommodations. Maybe I shouldn’t say this as MarocBaba and I met here in Marrakech when I was on vacation, however I think it’s important. I see and hear stories from people regularly about how they met someone while in Morocco and the next thing you know they’re filing for a visa and planning to spend their lives together. There are a lot of Moroccan men who are looking for a way out and can prey on female visitors. Sometimes their entire family can be in on it leading you to believe that their affection is genuine. My advice is to treat any potential romantic encounter as you would in your own country. Don’t be too trusting right off the bat. If you do decide to visit, be sure to read this post I wrote about things you should do when meeting someone overseas. If you’ve decided to visit Morocco to meet someone (or you just happen to during your stay), be careful making friends too fast especially if you’re alone. You will realize Moroccans are very friendly, especially men. Many times it’s genuine but sometimes it’s not. If something feels wrong, trust your gut. It’s also a good idea not to let on that you’re alone. This isn’t just true in Morocco but in general. If however, local women are friendly it’s typically genuine. There aren’t a lot of women out to scam other women tourists and many times they’ll take you under their wing. Ten years ago there was hardly anyone in Morocco that spoke English. Today more and more people do and it’s possible that you’ll make it your entire trip using English. That being said learn (and use!) some French and Darija (Moroccan Arabic). You can start with this post on common greetings and another that I wrote pointing out how to talk about any food allergies you have. One of my favorite phrasebooks is this one from Lonely Planet. It can be helpful and is small enough to carry in your purse. Another tip? If you’re lost see if you can find a woman to ask for help. They are much more helpful than the boys that either think it’s funny to send you the wrong way or look at it as an opportunity to make some money. Most women won’t speak much English so French will be your best bet if you don’t speak Arabic. Know not all people are bad. For every bad experience there are many more positive. It may sound dire but in reality Moroccans are truly lovely people. There are unfortunately many people out to take advantage and make a quick buck or look for a way out (via a foreign spouse). 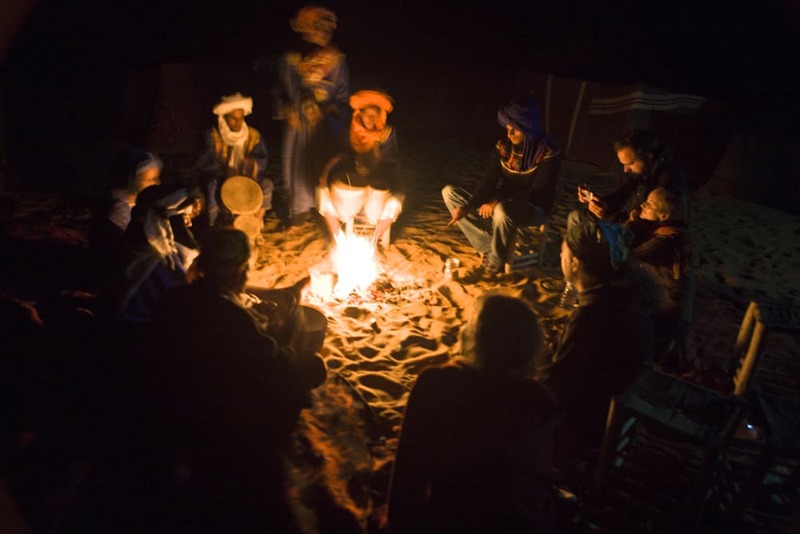 Be open to experiencing Moroccan culture but use common sense and your experience will be memorable. Absolutely, an incredibly helpful/insightful writing! Thank you so much! Morocco has been high up on my travel requirement list for years for numerous of the details you mention you fell in love with it, but I haven’t completed it there yet. I love, love, LOVE Moroccan food, and the atmosphere that comes with it just sounds fairy-tale. This list is amazing! Absolutely great article about Morocco. This is a lovely city, it has always inspired everyone to move ahead in life. Thanks for sharing this! Thank you so much for this VERY helpful blog!!! I am traveling alone in October and will be in Morocco for 8 days and really have no idea where to go!! I like nature, hiking and to stay away from the tourist scene and big cities. Any thoughts would be helpful, I was planning on Chefchaouen but have read the drive there is not worth the time since I am not in Morocco that long. Don’t worry at all that sounds perfectly fine! Have a great visit! 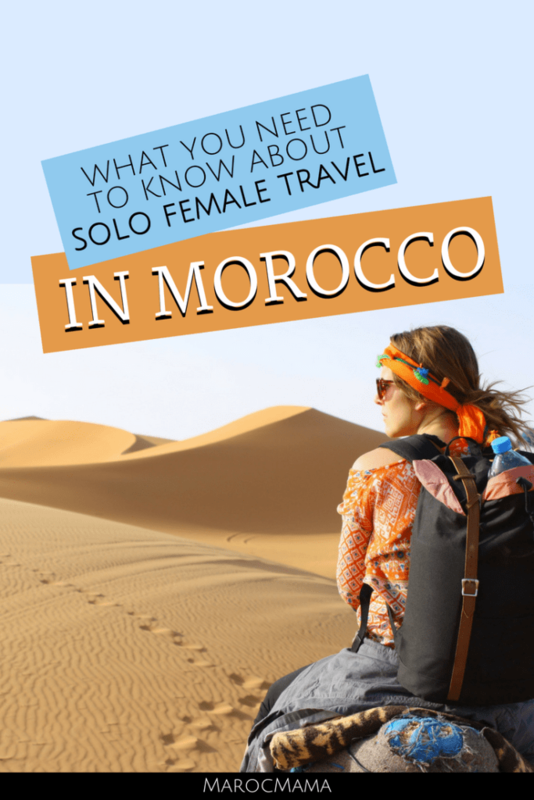 I went to morocco as a solo female traveler about a month ago and i wish i read this article before going. I was staying at a hostel in Marrakech and i guess one of the staff there had a liking for me. He showed me around the square and souks. He even bought me earrings. I would flirt with him which i thought of as innocent. Little stuff like smiling at him, giving him a hug and one time we blew each other a kiss. It was all fun and games until one afternoon in the hostel he tried to kiss me twice and i pulled away. I guess he got frustrated bc he held me down and shoved his tongue in my mouth anyway. I tried pushing him off but he didnt stop. My bottom lip was swollen and purple. I was upset but i guess i gave him the wrong impression. So ladies, please be careful when traveling especially by yourself. What i thought of as playful and innocent turned into a scary situation i didnt think would happen. I’m very sorry that you had this experience and there is no excuse for it. I think what you shared is important and what can be taken as innocent in our cultures is often not seen the same in a different culture. Sadly, I can see some Moroccan guys saying you were playing hard to get and not understanding you were not interested. Wonderful Guide! I like this blog, such a amazing guide for morocco! great to know about All the authentic things there! Thanks a lot for sharing. I don’t know how far it is justified. I had a small tour around Marrakech with my wife. For some reason, my wife went to explore some places around the countryside. She faced some eve-teasing from young men standing around, even though she was well dressed up. Do you think it is the right way to treat a woman? I make a little inquiry about the matter but they told me it is common. 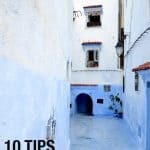 Your blog is so helpful for anyone who is looking to travel Morocco. Keep sharing!!! I’m an intermediate level French speaking American looking for a different French-learning environment than France. I’m currently debating between Reunion (although, yes, I technically know this is France) and Morocco. Do you genuinely think it is a good place to learn French, or would my time and money be better invested somewhere else? I’m looking to do 3 months, so even based on cultural difference, I’m wondering if 3 months is ideal there. I think if you based yourself somewhere like Rabat it would be a good place to work on your French. 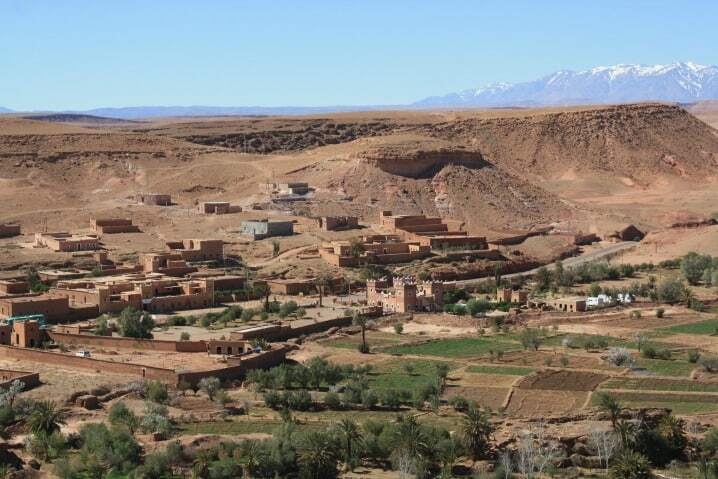 This is definitely a great article to get a good idea bout traveling in Morocco. we just got back me and my daughter from a 10 days Morocco tour and we felt very safe with their driver throughout the country. I am not sure what will be the case traveling solo but in general I found the country to be very safe and Moroccan people are very friendly. We run into couple cases where sales men wanted to start the bargain but we were not really interested in buying anything It was just easy to say no thank you and move on. My advice is to go ahead with your trip and just make sure you choose the right company. Great article, thanks for the tips! With the Sahara desert, interesting Mosque architecture, riads, Medinas, mint tea and many more, Morocco is a place not to be missed. However, there are numerous tourist targeted scams to be wary of. Thank you for an excellent post. I am an American woman who just visited Morocco by myself for two weeks, from Casablanca to Rabat to Meknes to Fes to Chaouen to Tangier. I dressed modestly with my shoulders and legs covered despite 42 degree heat. When men bothered me I simply said “saafi!” And most walked away. The biggest problem was being overcharged by taxi drivers despite speaking French and some Arabic. Overall I was trashed very well and mostly watched what other women around me did and asked then for help when I needed it. Maybe a list of good Arabic vocabulary would help for others in difficult situations. Marocmama, I stumbled upon ur blog when prepaying my trip to morocco, your tips have been great, advise useful and fair. For that I thank you for creating this gem of a blog, I’m also going to essaouria tomorrow so I’m looking forward to experiencing some of the seafood places u recommended too! Tonight, I search this page again for consolation and thankfully I found this article. I’m here right now in the medina in morocco, taking in all the culture shock, the food, the smell of the city both good and bad, and of course the bustling city scene and the colours that are unique to this country. But my god the harassment has been relentless. I’ve been dressed in pants and tunics or long dress with big sun hat and glasses on, walking alongside my husband and the comments have never once stop. Tonite is the first night we came back to our riad somewhat late (10pm) and we’re followed by a few boys aged between 8-12 ish, where they just followed and mouth comments non stop. To a point where I just couldn’t take it anymore so I turned around and screamed at them before I got into the riad. Not the smartest move, I know, but assuming a role of a timid female/ second class being for two days I simply couldn’t take it anymore. why are so many young boys/ men like this here? How are they raised in their family since they also have moms and sisters? This is not a rhetorical question I’m genuinely curious. Thank you for sharing your experience. I really don’t think it’s an issue of being a 2nd class citizen but simply that you’re foreign. I often ask myself why that behavior is tolerated or accepted and wish that I had a good answer, sadly I don’t. You were right to speak up and say something to them, especially as they were younger kids. I’m convinced the only way to combat this issue is for people to speak out when they feel comfortable enough to do it. thank you so much for your great information! My friend and I are taking the ferry into Tangier and were thinking of renting a car and driving ourselves to Chefchouene and hten on to Casablanca. What are your thoughts? Should we just hire a car and driver instead? It really depends how comfortable you are driving. 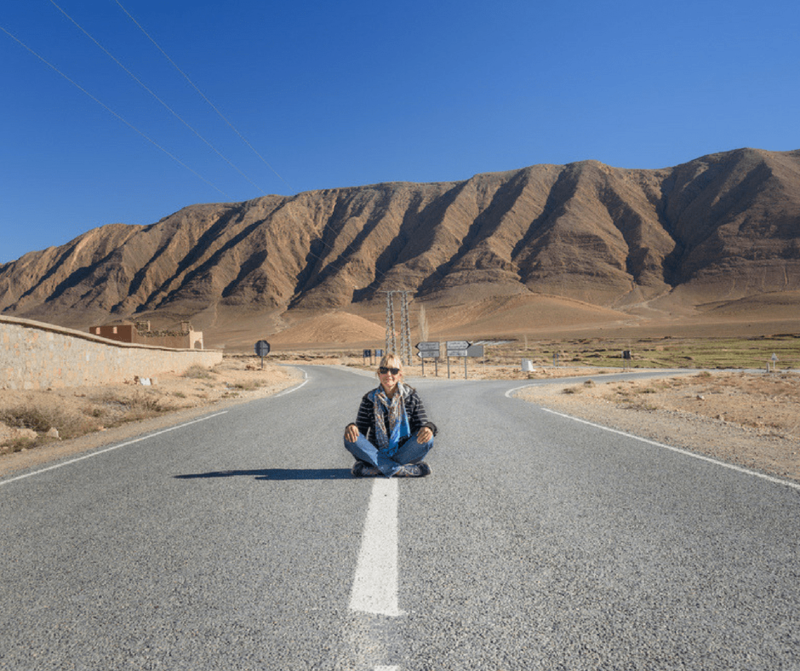 You will be on mountain roads that aren’t always in the best condition and driving in general in Morocco can be a little crazy! Personally I’d rather hire a driver so that I could relax and enjoy the experience but some people really like driving themselves! Do you have any additional tips when traveling during Ramadan? Be prepared to find things a lot slower than normal and more places working on revised hours or closed. It also might be good to consider covering up a bit in public. Yes it’s fine. I’m sure you might get a few looks just because people are curious but it’s not a problem if they’re exposed. You have shared some nice travel tips for women. We need to ignore the comments and be careful as well. In a country where you are a foreigner, this is the best thing to do. I wrote a similar guide on travel safety tips for females. If you are interested, I can shoot you a mail. Fabulous post, loved reading your tips ! I’m going to Marrakech at Easter with my daughter and sister. I wear a headscarf so wondered will this be enough to stop hassling from men? I am in my 30’s. We are staying in the Gueliz area. Is this safe at night? Or would you advise to stay in hotel in late evenings. I’ve never been before so wanting to explore Marrakech. 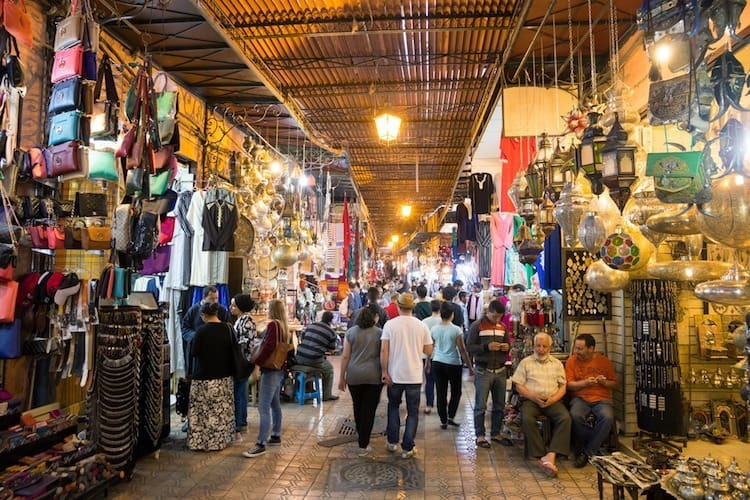 Would you recommend hiring a guide for visiting souks/jemal fina or will I be ok venturing on my own with sister and small daughter 8 years old? Jazakallah. Hi – You shouldn’t have many problems and I wouldn’t limit yourself too much. You may still get comments made but just ignore them. Marrakech is very safe and when you’re with a child it becomes even more friendly (really Moroccan love kids). Gueliz is safe but you’ll be away from the city center – I highly recommend staying in a riad in the medina for the experience and feel. Gueliz is like being in any other city in the world. You will be fine venturing out on your own but you might want a guide if you want the background and insight into historical sites etc – even a half day could be useful. Have fun! Good advice. I am going to marrakech, is it safe visiting the atlas mountains maybe staying there 1-2 days as a solo femsle traveller eith a child, of course i am aware that i should dress modest if going and not making contact with men. 🙂 i just really want to see the mountains and experience the more rural parts of the country. Thank you for your informed post and advice. I’ll be visiting Morocco with my mum and her cousin, and while we’ll be staying in 5* hotels and move arounf with a tour, we were a bit apprehensive about what to wear and how to interact with men without causing offense or being put in an uncomfortable position. Don’t worry and just prepare to have a good time! Interesing site. I am Canadian and my husband is Moroccan. We live in Canada…. but every other day he wants our family to move back there, but I am 100% currently not interested. I agree with just about all of the advice you gave in this article. The part about smiling and male advancement is so true lol. I got myself is some tricky situations with that many times when in Morocco. It’s not for everyone but we really do love our life here. The photo of the subject doesn’t belong to Morocco. It’s İstanbul,Turkey!!! You should find a photo of Morocco. I’m assuming you are talking about the photo of me in the right corner? That photo is static, it doesn’t change with the post. Yes, it is in Istanbul as I travel around the world and don’t just write about Morocco. I’m guessing you are referring to my photo in the left corner? That photo doesn’t change based on the post- it’s always the same. I write about travel around the world, not just Morocco and yes it is in Istanbul. You may get some attention but you really shouldn’t have too many problems. The trains are quite good. Spend a little extra on first class. We chose Morocco for our honeymoon last fall. We traveled around the country and the smaller towns are definitely different then the cities. As a woman I was pinched, kicked, and lists of inappropriate comments were made. We were carefully, dressing respectfully, hiring private guides and drivers, and made an effort to learn while there. BIG WARNING – don’t bring any adult toys. No problem getting into the country, but they inspected my luggage for our flight out. I spent 20 minutes with the police at the airport with them pulling out items and throwing them away. I tried to reason with them that we are leaving their country and they didn’t have a problem with us bringing it in! It didn’t go well as you can imagine. It ruined my love affair with the country to say nothing about souring the end of our honeymoon. Kicked? Pinched? Wow that’s really surprising to hear and makes me sad to know that was the experience you had. I think your warning is valid also, I’ve heard of that happening in many other countries but am surprised it was on exiting the country. To be honest I think chances are good the inspectors had no idea what they were as that is something that doesn’t really exist in Morocco. Firstly,I found this article by chance.I do not agree with it 60 percent.I am a guy from Morocco,and I’m 23 years old (Young),and I will talk on behalf of Moroccan’s young men. I heard some wrong ideas about them.I will try to explain them objectively.I read here that if you smile at Moroccan young man .He will consider it as an invitation to start a conversation,and he may try to harass a young foreigner beautiful girl/woman.It is absolutely wrong.We as Moroccan young men .We like beauty ,and I think that all the men of the world do the same.Additionally,we like when people smile at us ,and when someone smiles at you neither a woman or a man .It makes you feel happy and safely about that person.I do not agree with the idea that if you smile at a Moroccan young man .He will try to harass you or something like that.In the contrary,he will try to help you if you need help or direction you if you are lost.I think we do not need to complicate things to people who wants to visit my country (Morocco).I know Morocco,and I think I’m qualified to talk about it.Everyone who wants to come here ,especially women I will say that you are welcomed .We will respect you because our parents and religion(Islam) taught us to respect women in general.I am not saying Morocco is Heaven upon earth I maen in etiquettes,but it is naturally.To sum up ,I would like to say that Morocco is a wonderful place to visit which is very safe ,and I underline beneath the word “Safe” because it is important.Finally,all the women of the world you are welcomed in Morocco,the land of peace and liberty . Thank you for sharing your opinion however I do think you’re opinion is a bit off. The reality is that women, all women Moroccan and foreigners are harassed day in and day out in Morocco – especially in big cities. They are cat called, they are whistled at, inappropriate things are said. Do all Moroccan men do this? No of course not. BUT the reality is teenage and young adult men DO do this on a regular basis. There’s nothing wrong with liking beauty – there is something wrong with treating a woman like an object and feeling that you have any right to harass her. I have stopped smiling since moving to Morocco, because if I smile at a man then he DOES get the wrong idea and follows me, bothers me, and will say inappropriate things. I do not feel safe in these instances. People (tourists) don’t ask anyone for help because there is almost always an expectation of money for the “help”. This isn’t about complicating things but this is about reality. Islam does teach respect, sadly many many young men are very disconnected from this. I agree Morocco is wonderful BUT people, and especially women need to be aware of what may happen when they are here. I knew a handful of nice young men in Morocco when I lived there. I didn’t understand how any of them ignored other people regularly harassing or hustling foreign women. You may be very polite akhi, but if you let men around you behave like animals without a comment you are part of the problem. I am Morocco now and have experienced this bad behavior on plenty of occasions. You, might not act like that, but I can witness that it is the normal behavior for many Moroccan men to act badly around women, especially Western women. 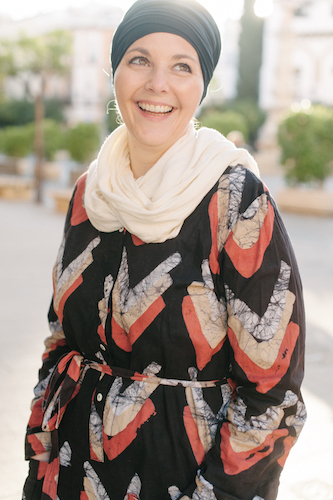 I am in my 40’s, dress conservatively, am married and I still have to fend off the unwanted touching and comments in both Marrakech, Agadir and Tamraght. It also happens even when I’m out with my husband. I am pretty sure I have broken a couple of ribs and toes of those who don’t take NO for an answer with a few foot stomps and well-placed elbows. Unfortunately, looking and smiling does encourage the behavior even worse, but it also happens without any encouragement. It’s sad to say but it has made me very uncomfortable being in Morocco. I was there several times with my Moroccan husband. Anytime I was left alone for even 5 minutes, I was harassed. Mostly by young men. You can only speak for yourself, but in my experience it happens often. Ignoring was the best thing I could have done. I returned last week from my Moroccan adventure. I found the information here very useful. I personally never had a problem with men harassing me, I did get hit on by much younger men in the desert, none of it anything but polite flirtations. I did at minimum wear shorts to the bottom of my knees, and t-shirts that covered my shoulders, and no cleavage showing, I never once felt as though I was not covered enough. I did cover up a bit more in the Medina walking around, peddle pushers and a thin cotton kaftan. I also truly believe much of your experience will be determined on your personal behavior, and manners. Morocco is amazing for stargazing. Visit Sahara desert and you will really love it. Morcoco is safe and cheap for travel . Easy to get there from Europe.. I am Brazilian and I go to Casablanca soon. Your post helped me a lot! I loved the tips! 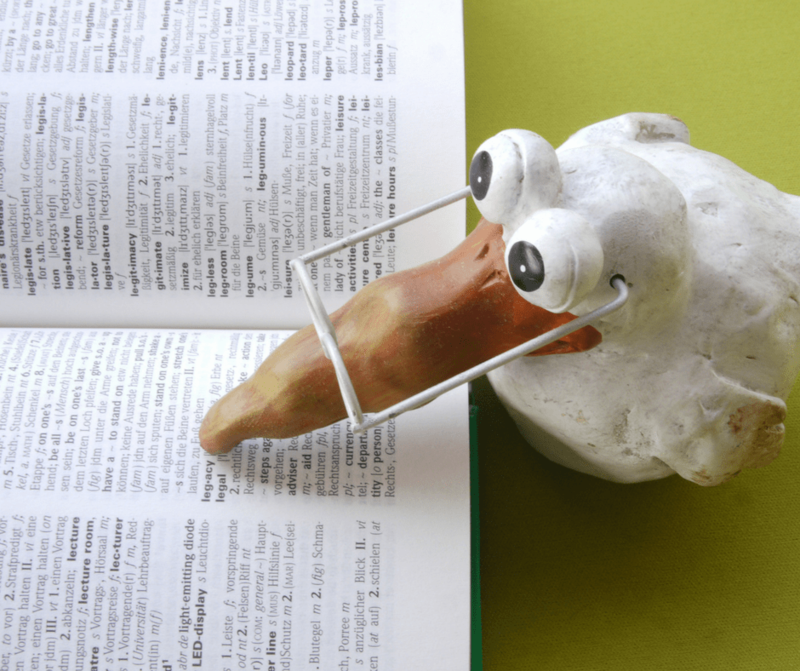 Hi – So happy to come across your blog! Thanks so much for such helpful info! 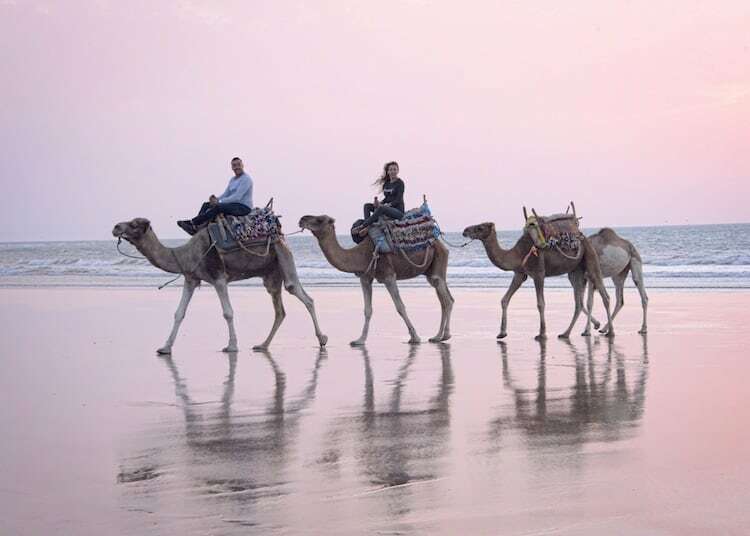 Great Morocco travel tips and advices, thank you for sharing the article. Thanks so much for a very insightful piece, Amanda! I’m going a group tour of Morocco in September, can’t wait! Morocco is in Africa btw not the Middle East and these tips don’t only pertain to “Muslim” countries but all countries. This stigmatism that all Muslim countries are usafe and woman are treated badly is really patronizing. No country is it advised that you walk in a dark alley way alone with cash especially here in America as well as men hollering at woman it’s a unfortunate common thing in many countries. I do appreciate your tips and I do agree with them but the way you phrase and deliver it makes it seem like all “Muslim/Arab” are dangerous for woman. Hi Elizabeth – I’m not sure if this is the first post of mine you’ve read or if you’ve read others but if the later then you would know your description of me is off. I wrote this post not for myself but aimed at readers who haven’t been here and would be coming for probably the first time. One of the #1 questions I get regularly relates to the things in this post. I know the points I make may seem “obnoxious” for people that have been here but for someone who has no experience traveling in this part of the world their only frame of knowledge may be those stereotypes. On the hollering point — yes it’s common in many countries but it’s a very real and big issue here and one of the top issues women I speak with face. I also went through just to double check and not once did I say Morocco was in the Middle East though it’s often categorized as pan-Middle East and regularly placed with the Middle East as the culture is much more similar to this region than sub-Saharan Africa. thank you so much for your very interesting top 10 ten tips. I am going to,Morocco in September. Good to have heads up re smiling, talking and clothing. Will certainly be taking my sunglasses. Can’t wait to go counting the weeks. I haven’t visited Morocco yet, but I’ve been very interested in making a journey there. I definitely think there is a mystique for women traveling anywhere, but certainly for Muslim countries. It’s great you’ve written basic, simple steps to consider that will help women feel more comfortable, assertive, and aware of the culture. Just because a place is different doesn’t mean it has to be scary or it shouldn’t be visited. This is a great list, I’ve been a little worried about visiting Morocco as I’ve heard a few bad things about it, but I think the key is knowing what to expect. Thanks for sharing your tips Amanda! Most welcome -hope you do come. Morocco is a wonderful country. I’ve travelled in various countries in the middle east and this is all good advice. I’ve also found it MUCH easier now I am older. When I was in my teens and twenties I did feel quite stressed. Whether that was my own doing or not I honestly couldn’t say. I was wondering Amanda, will I receive less attention and more respect as a mum with 2 children ? I know my Middle-Eastern friends in London see motherhood as almost saintly, particularly as I produced boys. I loved that they uphold old fashioned values so strongly. We hope to be there very soon,without my husband, I’m far less nervous travelling with the kids than I would be solo. Being almost 50 makes me a lot less interesting too. I remember visiting Morocco years ago, with my then boyfriend , a young Moroccan man remarked “Now that’s what I call a woman!” It was all good, nothing that bothered either of us, same in Egypt. Great post! 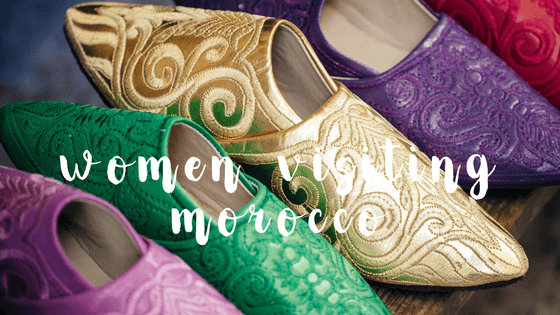 We ventured to Morocco this past spring and what to wear was high on my list of things to learn. As a matter of fact, researching that question is how I found your blog! There were 4 females on our trip of different ages. We all wore pants, long sleeves and an untucked shirt. I have long hair and I braided it and wore a hat, but no one else covered their heads. Our male guide, my husband and young son were the males with us. I wasn’t sure what to expect for reception, but it couldn’t have gone any better. Everyone was warm, welcoming, and pleasant. We were not uncomfortable = not even once. Perhaps that was having men with us? Not sure, but I would encourage anyone to head to Morocco without a worry. Thanks for a great post! Morocco is a wonderful place. I hope to go back!